The stats on eosauthority.com was last updated on 19th April 2019 17:01:02 UTC . Similar to how Netflix or Amazon recommends movies to you. We aim to show which Block Producers also get voted for if you pick a Block Producer. What is Voting all about? 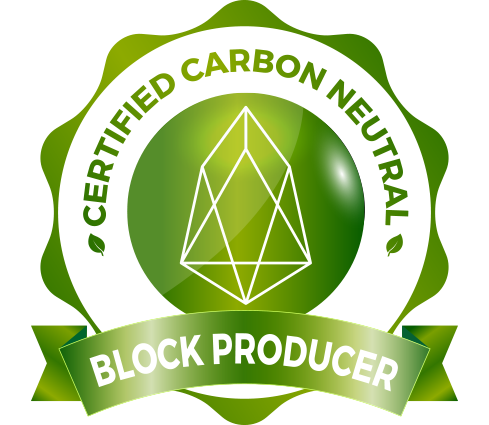 All EOS account holders are kindly requested to vote for the ideal Block Producer candidates. You can vote for upto 30 Block Producers at a time. Why should voting reach 15%? Once 15% of tokens are staked and used to vote, the chain is considered valid and normal functions are activated. Let's get going. Full Launch Timeline here. Keep your private keys offline or use Scatter (browser extension). The EOS Voting Portal is community developed and uses Scatter. Watch the video instructions on voting. How long is my vote valid for? Your votes are valid for a long time. However, they do have a half-life of 365 days. This means after 90 days, the votes are worth 80% of their original weight. How often can users vote? EOS accounts will be able to vote as many times as they want, every time an account changes its choices, the votes are allocated to the producers chosen. What happens if I change vote? Every time you vote, the previous votes are overwritten with the new votes. This happens each time you vote, so new choices you make will overwrite the old ones. Does voting cost me anything? Voting for your favourite block producer candidates is absolutely free! It is important to select candidates that you feel help the community and the EOS network. There is no end date on voting. You can vote and change your vote as many times you want. Votes will keep being accepted as long as EOS network is available (forever). As long as your Private key is safe. Do not use your private keys on places that you don't trust. We recommend not to use Private Keys on any website directly.